Now that Christmas has passed, the full realisation that it is Winter, has become all too apparent. I tend to spend the build up to the festive season in a post Autumnal haze and then find that I'm left with cold, dreary winter days. It doesn't have to be doom and gloom though. There are simple ways to create a cosy bedroom during the winter, without having to completely transform your room. In fact, I often find that focusing on doing the room up, gives my mind something to think about instead of the winter blues kicking in. Check out these fab ideas for ways you can make your bedroom cosy. 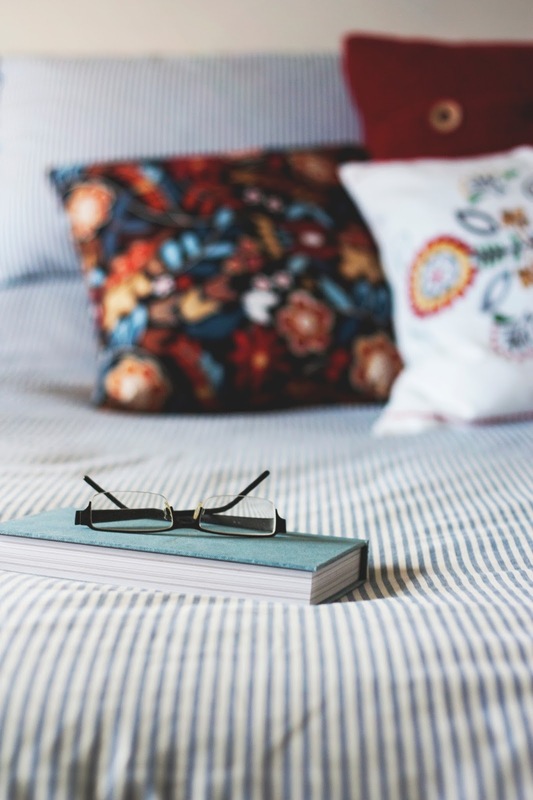 Metal beds can often look slightly cold, especially during the winter months, which is why you should opt for a wooden bed that suits every season. The timeless bedframe will look inviting during the colder months, offering the perfect place to snuggle up every winter night. Also, it pays to opt for a high-quality bedframe that will last for many years to come, as Revival Beds can offer wooden beds that have been handmade by master craftsmen. Down Duvets For a luxurious night’s sleep this winter, you will love nothing more than cosying up with a down duvet and/or pillow, which is lightweight yet very warm. It is a little bit expensive, with prices varying based on the type of down you choose, but it is worth the price tag. A bed throw can offer colour, style and warmth to any bedroom, so is the perfect item during winter. Not only can it accompany a stunning interior design, but it can instantly create a winter warming atmosphere that will give you a fuzzy feeling inside. Thermal curtains are a great way to warm up a home during the colder temperatures. So, when the colder weather comes in, swap lightweight curtains for a thermal design. The curtains will keep the cold away from a bedroom when closed, as it’s common for homes to lose heat through the windows, so you don’t have to dread entering a chilly room. It is therefore a good idea to close the curtains once dusk falls. Floorboards seem to almost absorb the cold during winter, which is why a comfy rug might be just the thing you need to create a warm environment, as you won’t have to worry about placing your feet on a freezing floor. You can opt for a colour that matches your interior and can simply store the rug away during the summer. Nothing says winter quite like tartan bedding, which offers a beautiful country feel that will be complemented by bed throws, thermal curtains and wooden bedframes. Team that up with a wood burning fire, if you’re lucky to have one, and you will never want to leave the comfort of your bedroom. I hope you like some of these ideas.